The London Book Festival Judges were "overwhelmed" by Stan Goldberg's memoir of learning how to live with cancer by helping others die. This moving book covers his seven years as a bedside hospice volunteer and led to a critically acclaimed video series How to Help Loved Ones Die. 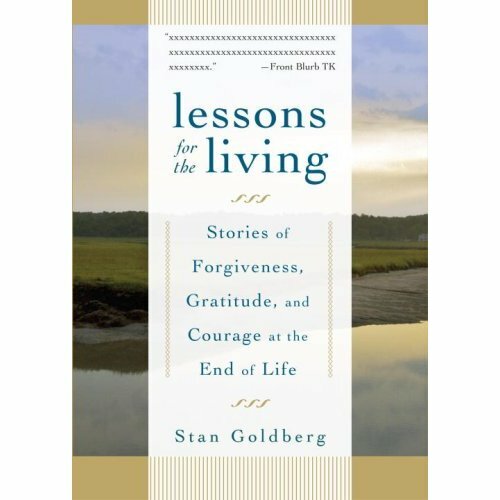 (1888PressRelease) January 06, 2010 - The London Book Festival chose an unlikely book for its 2009 Grand Prize Award, Stan Goldberg's memoir, LESSONS FOR THE LIVING: STORIES OF FORGIVENESS, GRATITUDE AND COURAGE AT THE END OF LIFE (Shambhala Publications-Trumpeter imprint). What made it unlikely is that it focuses on end-of-life issues while most other entries dealt with lighter more entertaining topics. Why was it chosen? The judges said they were "overwhelmed" by the impact the book had on them. Their views mirrored those of one reviewer who wrote that the book "will change the way you live the rest of your life." When Stan Goldberg was diagnosed with cancer, he chose to face his fear by helping others who were already in the process of dying: Stan signed up as a hospice volunteer and spent seven years at the bedsides of the terminally ill. In this book, Stan shares the remarkable stories of people he met who were facing the end of life. Their stories shine a light on the human capacity for beauty, insight, forgiveness, and gratitude, as we see how people like us deal with anxiety and sadness with bravery and love. But what's especially remarkable is that the bravery and love aren't as much expressed in grand, dramatic gestures as they are in ordinary acts and small accomplishments: in simple efforts at kindness, in asking for and receiving forgiveness, in the abandonment of anger, and in learning to speak directly from the heart-and to listen in the same way. What Stan ultimately discovers-and shares here-are not lessons in dying, but rather, lessons in learning how to live. LESSONS FOR THE LIVING became the basis for Stan's highly acclaimed video series HELPING LOVED ONES TO DIE, which besides being lauded by people preparing to help their loved ones die, is being used in conjunction with his book by hospice training programs around the world. He will accept the 2009 London Book Festival Grand Prize Award at a gala dinner event in London on January 21.